Ignoring the normal toddler tantrum thing, because supposedly this is a phase and everyone does it, or else they’re telling me that so I don’t pack him off to live with a circus troupe, it’s a time of change. He’s set to move up to the big kid room (He’s currently a Doodle Bug, he’ll become a Busy Bee) in creche, he starts his ECCE years in April. He tells me about the friends he plays with, sometimes even details of what they’ve done. He sings songs in the car (yes, that Snowflake song, in a creepy-child-in-horror-movie-tone while it was snowing might have been a bit excessive) and tells stories about games they’ve played. In case I’m making it sound too idyllic, he’s also developed a habit of embracing his inner Usain Bolt when he sees a car park, or a footpath beside a road. Even the reins backpack doesn’t work all the time. I’m contemplating handcuffs. Perhaps. Ooh, there goes another pang of Mammy Guilt. Tantrums aside, it’s still not all sunshine and rainbows. The pain thing has come back to the fore, and things like this morning have really grated on me. I woke up at seven, before the rest of the house, to eat something before taking my painkillers. The boy child woke up about half an hour later, and called out for me. I went into his room, he told me “I Awake Mummy”, and I told him “Alright, get up so”. He asked me to pick him up. “Hold me mummy”. I told him I can’t. This week my shoulders and my neck are seized up and it hurts to lift my arms or move my head too much. I’m signed off work, and on another handful of medications to manage to get out of bed and get around. Lifting my 25lb+ toddler isn’t high on my list of “Can-do” activities. He asked again. He said please. I told him I’d hold his hand and we could walk. He said no, he wants me to hold him, to carry him. That he’s my baby. Then, when I repeated that I couldn’t, he got annoyed. “I no like you Mummy”. He stomped into the kitchen, and it took a yoghurt and a bagel to get him back on side. Long live food acting as the great diffuser. Self care is a necessary part of living with chronic pain, and parenting in general. 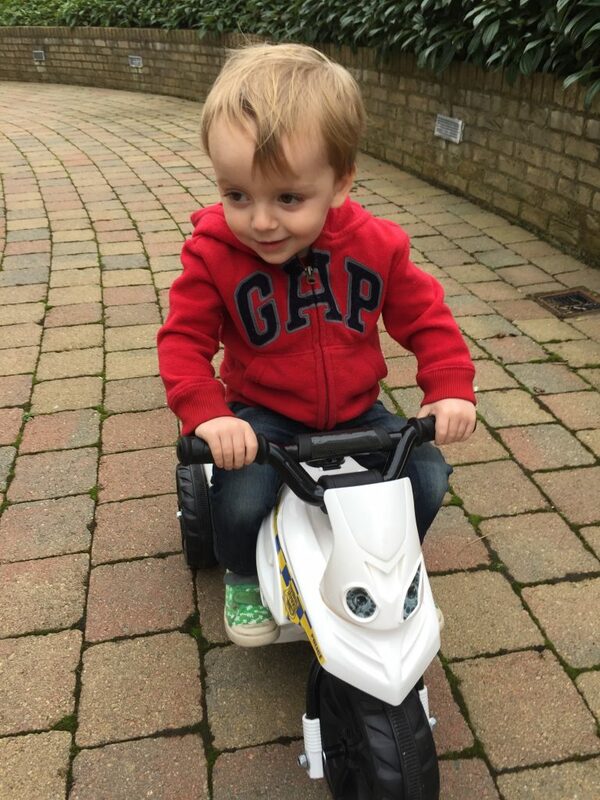 The onus however is always, in my mind, in doing what makes my toddler happy, feeling loved and cherished and like his Mummy is doing everything in her power to make the world nicer. I know he’s likely not to end up in therapy in his adult years because Mummy wasn’t able to lift him up when he was almost three. I’d hope that I’ve done enough other things to make him understand that it’s not him, it’s me. There’s nothing I’d love more than to lift him in my arms, give him piggybacks, walk with him on my shoulders like he does with his Daddy. The Mammy Guilt is working on overdrive, and it’s not showing signs of subsiding. I worry that when he’s older it’ll be “Mummy doesn’t want to do these things”, when it comes to him wanting to go on fairground rides, or other activities that are strictly for the not-of-banjaxed-back population. I worry that it feels like I don’t care, when I do. I just need to not be too broken to do the things I can do, so I have to have limits. I start each day with a certain amount of spoons, and doing things like lifting him up and piggybacks would mean the spoons I need for dinner prep, for going to work, for leaving the house, are depleted too soon. This is not a concept I’m fully at peace with, so how do I expect a three year old to get it? It’s going to be a work in progress, as with everything. I need to rein in the Mammy Guilt, because the only person I’m hurting is myself. 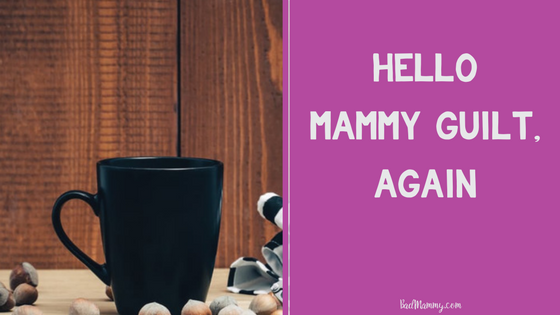 In lieu of a miraculous cure, it’ll just be a process of adapting, and hoping that one day Mammy will be able to do all of the things she wants with her little boy. « An Abnormal Smear and Colposcopy – What does it mean?